Wallpaper made by me, representing Mikoto with her "sisters". 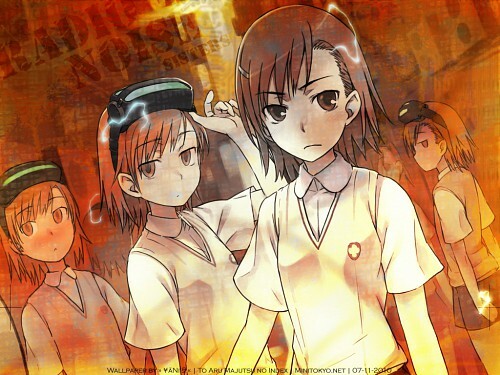 I used an image that is in DVD #4 cover from To Aru Majutsu no Index. For people who don't know, "Radio Noise" is the name of the project in which the "sisters" were created. - Here's the original image that I used, in very good quality. - Program used: Adobe Photoshop CS3. - Different types of brushes and textures collected from Deviantart.com. - This piece didn't took me a lot of work, just patience and creativity. genial la pic...mucho mejor que en otros lados que busque!